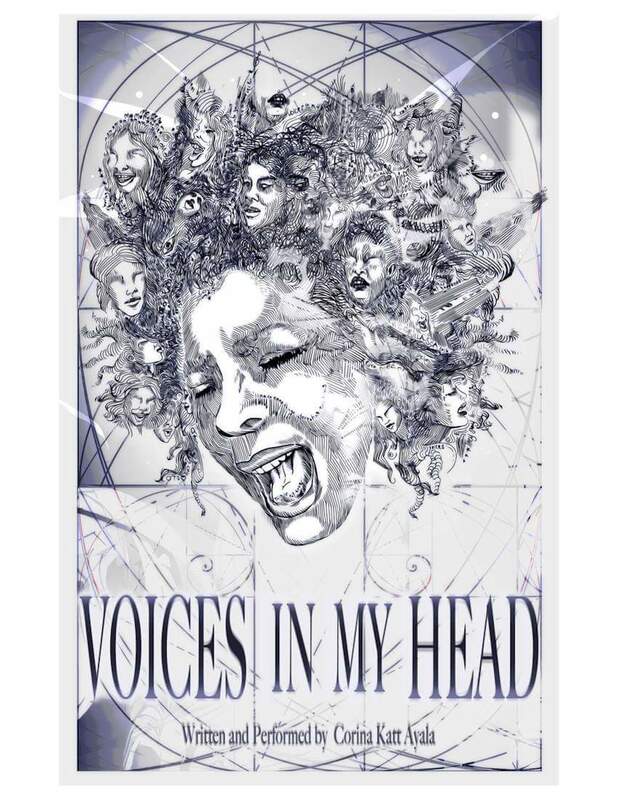 “VOICES IN MY HEAD” is a One Woman Show written by the performance artist Corina Katt Ayala. With humor and candor she takes you on a journey of her creative process through the characters that fight to be heard, in her head. Doors open at 6pm for the OPENING NIGHT VIP GALA & will be a Red Carpet and Cocktails Affair. The Performance of “VOICES” will begin promptly at 8pm. CORINA KATT AYALA is one of the most electrifying Performers and broadly talented Artists in a generation. Known for her honest, open hearted and intimate style she is a one-of-a-kind Singer/Songwriter, Actor & Writer whose work goes right to the heart of love, inspiration and human triumph. Ask anyone, the world over, who have witnessed her perform in concert, on the theatrical stage or on the small or big screen and they will tell you that they have witnessed the truth. The firstborn of Puerto Rican parents CORINA was raised between the rough and tumble neighborhoods of New York City’s South Bronx and Harlem communities and Puerto Rico, where she spent summers and school vacations with her grandmother up until her early 20s. Brought up in a home which she describes as, extremely challenging to say the least, performance became her only means of escape, as she would lock herself in her room and re-enact the performances of her Mothers favorite singers for hours on end. By age 14, after years of formal training and performing in front of friends and family alike, CORINA was beginning to win beauty contests and talent competitions, eventually landing her the MISS HISPANIC AMERICA Title and a 1st Runner Up as MS. PUERTO RICO. By her late teens she had signed to an independent label which led to the release of “OUT OF CONTROL”, “GIVE ME BACK MY HEART” and “LOVING YOU LIKE CRAZY” all charting TOP 40 on the US HOT DANCE MUSIC/MAXI SINGLES CHART respectively. CORINA’S self-titled ATCO/ATLANTIC RECORDS debut album, CORINA, spawned 3 additional chart-toppers: “WHISPERS” and “NOW THAT YOU”RE GONE” which landed her her first two BILLBOARD HOT 100 singles and “TEMPTATION” which held a Top 10 position on the BILLBOARD HOT 100 pop chart. Describing herself as an Entertainer first and foremost when asked, “Ohh, are you getting into acting now?”, CORINA explains, I am an Entertainer, having danced, sang and acted from a very early age. It just so happened that I stepped into the world spotlight as a singer first.” Gaining worldwide acclaim first through her music videos, MTV appearances, and national and international tours with the likes of BOYS II MEN, ICE CUBE and MARKY MARK(MARK WAHLBERG) CORINA once again charted on the BILLBOARD HOT 100 with “SUMMERTIME SUMMERTIME”, produced by LIL JOHN for their COLUMBIA RECORDS/SO SO DEF’S ALL-STAR BASE ALBUM. Her songs & performances have taken her around the world, including Japan, Europe, the Caribbean Islands and Moscow. She has been featured on TV shows like ENTERTAINMENT TONIGHT, LIVE! with REGIS & KATHIE LEE, MTV’s CLUB MTV with DOWNTOWN JULIE BROWN and SHOWTIME AT THE APPOLLO, all while continuing to find and create consistent work for herself as an ACTOR/PRODUCER. After a series of guest starring appearances on such shows as LL MY CHILDREN, ONE LIFE TO LIVE, AS THE WORLD TURNS, NEW YORK UNDERCOVER and COSBY, CORINA was beginning to make waves on the big screen as well. With her earlier success starring opposite MARC ANTHONY in “EAST SIDE STORY” CORINA was now starring opposite ANTHONY MICHAEL HALL in “FUNNY VALENTINE” and EMMY & GOLDEN GLOBE winner PETER DINKLADGE in “FORTUNES”. OSCAR winning ACTOR/DIRECTOR TIM ROBBINS then tapped CORINA to portray famed Mexican Artist FRIDA KAHLO in his TOUCHSTONE PICTURES release “CRADLE WILL ROCK”. CORINA describes the experience on set as, the greatest acting clinic I could have ever attended. Directed by TTIM ROBBINS and working with OSCAR winning Actors SUSAN SARANDON and VANESSA REDGRAVE, CORINA starred opposite JOHN CUSACK(Nelson Rockerfeller) and Latin Music Legend/Actor RUBEN BLADES playing FRIDA KAHLO’S husband, DIEGO RIVERA. CORINA continues to live her dream by touching all who come into contact with her and her work. 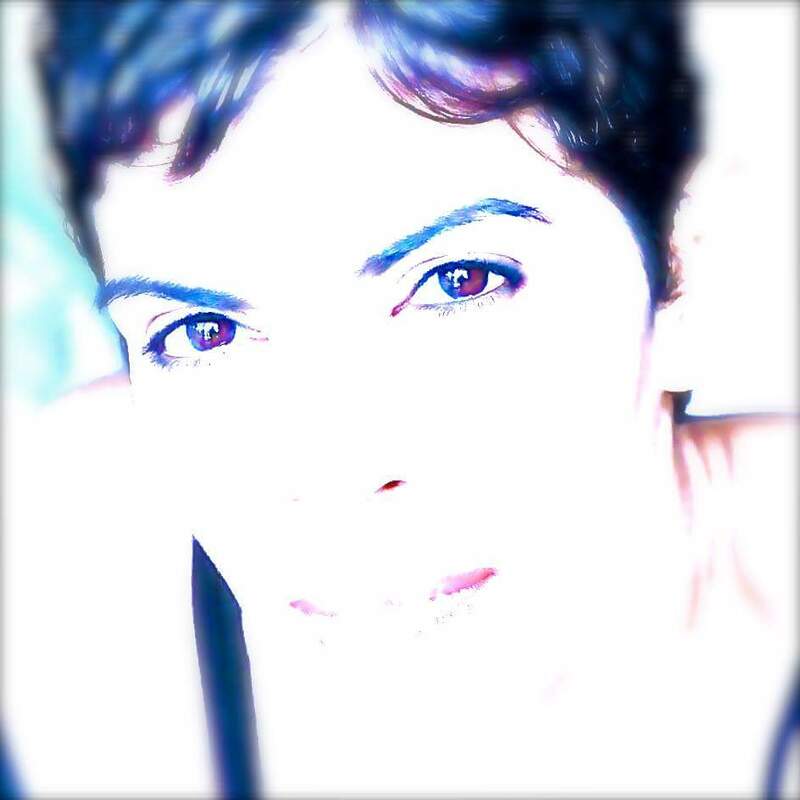 Recent projects include her wacky Webseries character LUPITA in “LUPITA SAYS”, her semi-autobiographical TV Sitcom in development “LATIN IN AMERICA” and the recording of her debut Latin Album with it’s first release, “AUNQUE ME DUELA”. In the pipeline are a CORINA memoir, “MY MOTHERS DAUGHTER”, two feature length films written, and to be Directed by CORINA and a her second One-Woman-Show, “VOICES IN MY HEAD”, debuting at The Poet’s Den Theater on Feb, 14th 2017.